I have purchased a porch awning for my old Abbey GT418 caravan that was given to us by my dad. The measurements on the awning are 250cm and not sure if it will fit my caravan as this measures a little higher. Can anyone help or suggest an awning that will fit? I do not want to try it as if I open the box the shop will not refund me the full amount.. If you are unsure, go back to the shop where you purchased your awning and as them to confirm that it will fit your caravan. They should have a data base of caravan sizes and should be able to tell you. Most porch awnings have a height of between 225cm-250cm. I have yet to find a porch awning higher than 250cm. So unless you have an unusually tall caravan, I should imagine you will have no problems with it fitting unless someone can say different. just purchased a panama porch awning 260 and I have a Bailey Ranger 460GT , it fits 235cm/250 cm and like the other chap I have measured and get 236cm , but spoke to my local caravan dealer and he said no it will not fit due it covers a vent or battery box or something. anyone have a 260 and have any probs with fitting. It is not as difficult to erect as you think. First thread the awning through your rail on your caravan to the correct postion, feed the longer poles into your awning via the material tubes on either side and then use the clip at the bottom to hold them in place. Next take the shorter pole an insert one end in the pocket on the side and bend it round the top of the awning and insert the other end into the other pocket. Then just clip the pole in place. Now all you have to do is peg it down. The yellow ropes are guy ropes. To use this awning on a hardstanding, simply use pegs suitable for a hardstanding pitch. If you still want some intructions, try contacting Quest Leisure direct. Their website address is www.questleisure.com. 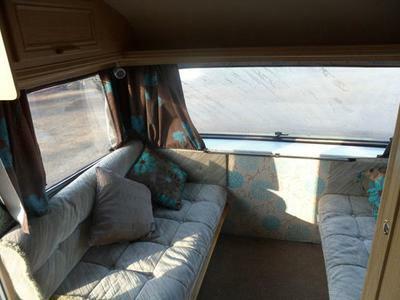 I also have just bought a caravan 260 high its the Bailey Orion 400/2 and can't find a porch awning that is for this height. I only want a light weight one and a full awning is too much for us. The best thing to do would be to speak to a Bailey dealer. The should be able to tell you exactly what awnings should fit their models. I can see the problem you have. 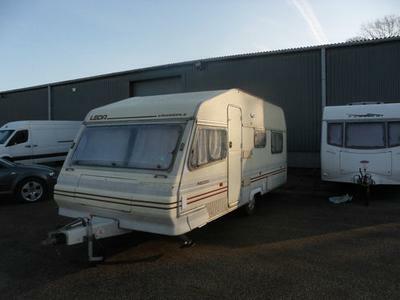 I would suggest that you ask the dealer that you intend buying the awning from, if there will be a problem with the awning fitting your caravan and if he/she says the won't be, make sure you are able to take it back if you are not satisfied. Hi, I too had pole problems. However I spoke to Towsure and this is what they told me. Once you have threaded the fibre poles go inside the awning. you should have 4 spiked poles.Pick the longest 2. Next you will have 2 thicker poles with flanged ends and two thinner poles with flanged ends. Slot the thinner one into the larger one. Locate the two pockets at the corners at the front awning above the window. Slot the pole in the pockets and adjust the tension and tighten the wheel. The other two are for across the centre roof. Donot forget to fasten with the roof straps. You shoukd then have 8 small poles left. 2 of those will have round plastic heads. Thes are to support the sun cannopy if yo want to form one from the front awning door.Otherwise pack away you don't need them. Hope it makes sense. I need some help regarding a porch awning - Do I measure the rail height for a porch awning from the floor or from the bottom of the caravan? Many thanks for your help. You need to measure the awning rail from the roof of your caravan straight down to ground level. To give you some idea the average caravan has a height of approximately 2.57m. However unless you have a really tall caravan, most porch awning will fit. Can you give me advice on how to fold my Panorama Basecamp porch awning up and get it back in the bag!!!! your advice on how to erect it was spot on now all i need is how to pack it up!!!!! Spread your awning out flat (it should be a sort of triangle shape).Now fold inward the bottom 2 corners of the awning. Now pick up the bag and put it at the bottom of the awning, this will give you an idea of what size you need to fold over your awning to fit into your bag. Once you are happy with the width, start tightly rolling the awning up and then once it is rolled up, secure both ends and it should fit nicely into the bag. Having just bought a used Panama 390 Porch Awning I am faced with a bewildering set of poles of many various sizes. Can anybody help with instructions please? Many thanks. Basically, you should have 2 types of poles. You should have fibre reinforced poles to make up the frame and you should have some aluminium poles which are for the roof support. There should be 4 equal lengths of fibre reinforced poles, each length fitting into the sleeves on the outside of the awning. On one end of each length should be a cap which is the end that should sit against the caravan and the other end should have a metal sleeve which the metal clip on the awning fits into. Once the poles have been threaded through the awning and clip in place at the bottom, you need to fit the aluminium roof support on the inside of the awning. There should be a pocket on each side. Simply put one end into the pocket and then extend the pole to the other side and put the end in the other pocket and extend the pole to strech the awning and then tighten. Once all this is done, you can peg the awning down. It is obvious where the Fibre poles go, but it is the aluminium ones that don't make sense- help with proper instructions please. The Aluminium poles fit in the pockets on both sides of your awning. Once inserted in the pockets, you simply tension to poles to stop the awning from collapsing. I have an Ultima 260 porch awning and I get lots of draught through the sides. Do you know whether there is anything I can get or do to stop this? Many thanks. We too have an Ultima 260. What we have done to prevent this is to use a length of foam pipe insulation on either side of the awning. Just make a cut length ways down the length of pipe and feed into the awning, then peg down the end under the caravan thus forcing the awning to sit flush and tight to the side of the caravan. We also use an old awning skirt to prevent any draughts from underneath. I have the same porch awning. What I have done is had 2 corner anchor points [like on a full awning] put on then on the right hand side - if your door is near to the backend attatch a strip of awning skirt runner to the rightside and thread it through the awning rail like you would a full awning - works great! We bought 2 lengths of foam pipe insulation and fed the awning sides that rest against the caravan into each length. It may not be perfect but it does cut out a lot of the draught and also stops the awning flapping against the caravan when breezy. I have recently been on a pitch where there was a slope and the front end of the caravan was much higher than the rear to allow it to be straight. The 390 porch awning I have would not sit correctly and the gap at the rear of the van was quite large, a simple solution was to buy a reeded airbed for £10 and insert it between the upright pole which sits to the van and the van itself. As it is reeded you can ajust how much of the airbed you want at a 90 degree angle, in my case the airbed had six reeds of which two sat against the van and the other four filled the gap. A simple cheap solution that most definately keeps the draft out. 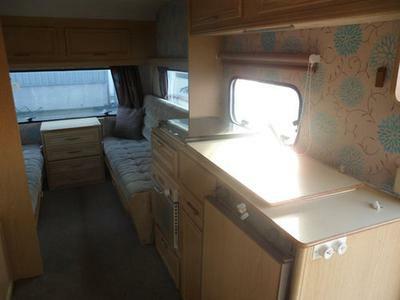 We have a Lunar Quasar 525 caravan with a height of 260cm. However, all the porch awnings for sale only go to 250 cm or 255 cm. Please can you advise as to what can we do? The best thing you can do is to go to an awning dealer where you can see the awnings erected. Tell the dealer what your caravan model is and what exactly you are looking for and they should be able to supply you with the correct size awning for your requirements. Firstly let me say how useful your website has been to me over the past year since I got my first caravan - its been most helpful. Now my problem is I purchased a Quest Panorama Basecamp porch awning on Ebay. It's brand new with everything included but no instructions!!! So I need your help. We slid it through the awning rail with no problems but were unsure in which order if any the 3 flexible poles go in and how is the easiest way of fitting the middle 1 that goes around the top. Also the yellow ropes which I assume are storm straps - how do I position them. Also how do we use it if it's a hardstanding pitch? Once you have threaded the awning through your rail to the correct postion, feed the longer poles into your awning and then use the clip at the bottom to hold the in place. Next take the shorter pole an insert one end in the pocket on the side and bend it round the top of the awning and insert the other end into the other pocket. Then just clip the pole in place. Now all you have to do is peg it down. The yellow ropes are guy ropes. To use this awning on a hardstanding, simply use pegs suitable for a hardstanding pitch. I picked up a bargain - well I think I did! I paid £70 for a Suncamp Ultima 390 awning but the only problem is that there are no insructions!!!! There are 4 fibreglass poles - is there any order you fit these, eg outside 1st or inside 1st left to right etc?? The main bit I'm confused with is the metal poles which are included - any idea where they go!!!! We have a 260 Ultima which is the smaller version of yours. Basically the 4 lengths of fibreglass pole are fitted into the 4 canvas tubes on the outside of the awning. There should a cap on each end of the fibreglass poles. The capped end should be fed in first. Once these poles are fixed in place, you can fit the metal pole. The metal poles should make one length. This pole is fitted inside the awning. Near the front of the awning there should be 2 pockets, one on each side. Put one end of the metal pole into a pocket and then stretch the pole out and fit the other end of the pole into the other pocket and then tighten the pole once you have reached the desired tension for your awning. Now just peg down to finish. Most porch awnings height size are shown as 250 cm max however the Pegasus is stated to be 263. Are you aware of any porch awning which will achieve this height fitting? To be on the safe side I would contact Bailey Caravans on their helpline to ask if they would recommend a 250cm awning height. If not, perhaps they would be able to recommend an awning to fit. Postal address: Bailey of Bristol Customer Services Department, South Liberty Lane, Bristol, BS3 2SS. We hope Bailey can help, if not come back to us and we will have another look. The Pegasus may be the height you have quoted but I believe that is the overall height which is to the top of the lowered aerial or sunroof not the awning rail, the awning rail is lower and should be within the height limits of the awning. I have a Freedom Microlite caravan and the awning rail is only 210 cm high. I have a full awning but would like a cheap porch for overnight stops. All the awnings I have found quote 230-250 cm height apart from expensive Eriba awnings. Has anyone experience of using a standard porch with a Freedom caravans, possibly modifying it to fit? Can anyone help Gill? If so, please reply and we will forward on your comments. JUST BOUGHT A NR PORCH AWNING. 3 HEIGHTS AVAILABLE. YOU NEED THE SEVEN FOOT ONE (213cm). (erect awning using the clips provided to find the location of furniture blocks. I have a Freedom Jetstrem First Class and i have found that the Kampa Rally 200 fits well for a light weight awning. I use this for long week end breaks instead of putting up the full awning. I have just purchased a quest lounge porch awning with instructions. If you are still looking you can email me and I will send them to you. I need caravan pourch awning that will fit a Mazda Bongo and will also be able to attach to my caravan. I have a bailey ranger 555/5 2002. Please can you offer any advice. Because awnings for campervans and caravans tend to fit differently, I am not sure you will be able to find one to fit both. The best thing you can do, is go to you your local dealer and explain your situation. They might be able to find a solution for you. What size (height) porch awning should I buy for a 1998 lunar 505 solar? 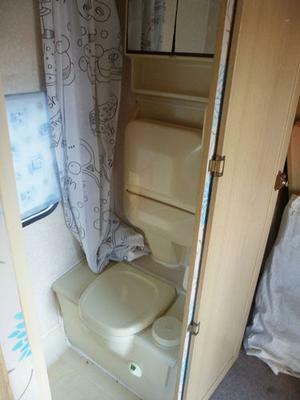 I have just bought my first caravan and not very sure about what things I really need. I want an awning as I'm a single mum with two young children who will want to take bikes, scooter etc and also a large Labrador. so any help and advice would be greatly appreciated. Most awning manufacturers, make awnings to fit any caravan. Your best bet would be to visit your local dealer and have a look to see what they have on display. That way you will be able to see exactly how much room each awning will give you. If you tell the dealer the model of your caravan and and how much space you need, they should be able to advise you what awning would suit your needs best. Armed with this information, I would then search the internet to find the best deal. Please can someone help - does anyone have instructions for a Pyramid PDQ porch awning which I would copy? Many thanks for any help anyone can give me with this. Your best bet would be to contact Pyramid Products and see if they can supply you with the instructions. Failing that, there is a video on You Tube showing exactly how to put one up. www.youtube.com/watch?v=2SW_-5aQtSw. Hi I've just bought an Elddis Shamal XL and want to buy a porch awning to fit. Can anyone advise me on which size I need confused.com!! Most porch awnings are designed to fit most caravans. I would advise you to visit an awning showroom where you will find awnings on display. It is just a matter of deciding how much space you need and what you like. The sales staff should be able to give you all the advice you need. Once you have found a awning you like and is suitable for you needs, make a note of the model and then shop around. You might be able to find a better deal. Do you or any of your readers happen to know of any make of porch awning which you can fit a bedroom extension to? Many thanks for your help with this matter. I think porch awnings that can accomodate an annex will be slightly larger than a standard porch awning. Dorema make an awning called Omega XL and Pyramid Awnings make the Corsican Plus. Both these porch awnings can have annexes fitted to them. The Bradcot XL porch awning can fit a bedroom annexe. If you go to your local caravan dealer or awning showroom, they should be able to tell you if the 390 porch awning would be a good fir for your caravan. They should have a database of all caravans and what size awning will fit each caravan. What I would advise is to go and visit a dealer which sells porch awnings. They should have some on display where you can then see them erected. You will then be able to decide on how much space you need and what type would be most suitable for you. Most porch awnings are pretty easy to erect and take down. I am contemplating buying a new lightweight porch awning for my 2000 Sterling Eccles Topaz and would ideally like either a Panama XL 390 or a Prestina 390. I have read somewhere that ideally a porch awning of roof length 390cm, (as the two above), requires the caravan to have a straight awning roof channel of at least 390cm to ensure the roof remains flat when erected. My Topaz has a straight channel section of just 381cm, the forward remaining 9cm gradually drops down approximately 4cm. I would welcome any comments from owners of a 390 lightweight awning and if they have experienced any problems when fitting to a caravan with less than 390cm straight awning channel. If anyone can help, please let us know and we will post your comments on our website. Help to Erect Quest Romany Porch Elite Awning. We have bought the above awning from ebay to replace our older full awning as we are now retired and found the old awning too much hard work. The awning came without instructions and we just cannot work out how to erect it. Before we get a divorce at our age, can someone somewhere help. I have searched the internet to no avail. If you contact the manufacturer (Quest Leisure) direct, they should be able to send you the correct instructions. Their website address is www.questleisure.com. Comments for Help to Erect Quest Romany Porch Elite Awning. Just binned our Romany after eight years and eight gales. The u shaped pole goes on the outside. The l shaped storm pole goes on the inside. The outer pole ends attach to the key ring and stick on each side by the doors. When up it looks like the dorema starcamp mistral. Hope this helps. We have just bought a new Bailey Pegasus GT65 Genoa and are looking to purchase a quality easy to erect porch awning. 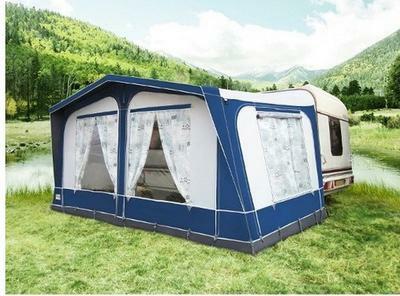 We have noticed that most awnings are suitable for caravan height of 235 to 250cm. We understand that the GT65 has a height of 261cm so we presume the standard awnings wont fit. Are we right and if so can you recommend a solution to our problem? Any good Awning retailer should be able to advise you what is the most suitable awning for your needs. You could also ask the dealer that you bought your caravan from. They should be able to offer you the advice that you need. Can anyone recommend an annex to fit an isabella action awning. We have contacted isabella u k they do not have one that fits. Help on this most appreciated. This Isabella awning is designed sepcifically to fit this caravan. Your best bet would be to visit an Isabella retailer and to see what they advise. I know of one in Birmingham which might be of some help. www.chichester-caravans.co.uk. We have purchased a 1993 12' Swift in Australia which was imported from the UK & are having trouble in erecting it, as we are not sure if any poles etc are missing. Does anyone have any manual/instructions for this Sher-wood (I think) awning please? We are buying a Bailey caravan and we would like to purchase a porch but because the door opens to the front of the van we seem to have drawn a blank can you please help. If you ask the dealer that you are buying the caravan from, they should be able to advise you on the most suitable porch for your needs. Failing that, any good awning retailer should be able to advise you also. I have purchased the above porch awning but the assembly instructions leave rather a lot to be desired - can anyone advise in plain simple English the step by step instructions? Some instructions are not very clear or seem to be written in double dutch. I would suggest that you lay your poles out on the ground following the diagram of the poles. Onces you have done this, mark or number each pole so you know which pole fits into which. This will help you the next time you have to put your awning up. If anyone else has any other ideas, please let us know and will pass the information on.